Volkswagen Motorsport India is developing and building customer cars for potential rally drivers interested to compete in the FMSCI India National Rally Championship under its Customer Sport programme. Volkswagen Motorsport India will build the rally-spec cars across all three categories of the championship – INRC, INRC2 & INRC3. To showcase the performance and reliability of these thoroughbred rally cars, the Volkswagen Motorsport India team will compete in INRC and INRC2 categories. Vicky Chandhok will be piloting the INRC segment car while Phalguna Urs will pilot the INRC2 rally car in the opening round of INRC in Chennai over the coming weekend. Phalguna will continue driving the Volkswagen Polo INRC2 car throughout the 2018 season. Volkswagen Motorsport India’s Customer Sport programme allows rally drivers to get a factory prepared Volkswagen Polo rally car as per suited to their individual requirements. In addition, the factory’s Motorsport team also provides on-ground technical support to the drivers and their teams. After our global success in the FIA World Rally Championship (WRC) for four years on the trot, Volkswagen Motorsport changed its focus to developing customer cars globally and we followed suit here in India too. We have developed cars for potential customers across all three categories, for individuals who wish participate in competitive rallying. Our Customer Sport initiative helps individuals get a factory prepared Volkswagen Polo rally car along with an experienced team of performance engineers from Volkswagen Motorsport. Vicky Chandhok began his driving career way back 1972 and continued racing and rallying throughout the next 28 years, until his final competitive outing at the South India Rally in 2000, which he won. In that period he competed and won races all over India in Formula Fords, Formula Indians, Formula 3 and Formula 2 cars during the heyday of Indian motorsport. As a driver, Vicky won some of India’s biggest Rallies – the Himalayan Rally, the Rallye D’ Endurance, the South India Rally in Chennai, the Popular Rally in Kerala and the Charminar Challenge in Hyderabad. Phalguna began his rallying career in 2008 and has been actively rallying for the most part of the last decade. Phalguna won his first rally at the Rally Star Cup in 2009 in Bangalore. The following year, he won two rallies and finished on the podium in the Rally Star Cup. Phalguna won the 1600-cc class driving the factory supported Volkswagen Polo in 2014. Over the course of his long rallying career, he has participated in over 30 rallies. Volkswagen, Volkswagen Motorsport India commenced operations with the Polo Cup India in 2010. The vast global expertise, coupled with rich dynamic history of the Group has enabled Volkswagen Motorsport India to progress swiftly and become the best one make series in a short span of time. The Volkswagen Polo R Cup enhanced awareness as well as underlined the technological advancement of Volkswagen in India. 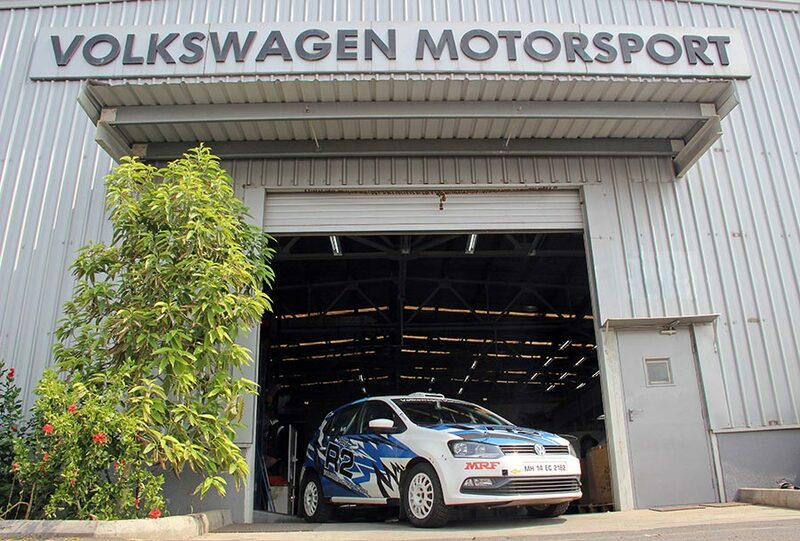 In 2015, Volkswagen Motorsport India shifted to Vento Cup and continued to provide a vital platform for the talented young racers to demonstrate their capabilities nationally and internationally by nurturing them. In the one-make series, all participating cars are technically identical with the same performance making it possible for only the most skilled drivers to leave an impact. Since 2017, Volkswagen Motorsport India has been running the Ameo Cup in the same format. Successes in Indian Rallying: Under the Customer Sport Initiative, Volkswagen Motorsport India started providing teams and individuals running Volkswagen Polo rally cars in the Indian Rally Championship (IRC) with technical assistance and spares from 2013. The Volkswagen Polo won the 2013 and 2014 titles in the 1600-cc class. Volkswagen sales skyrockets in Europe and Asia, Again!